Budding screenwriter, electro/indie music lover, TV watcher, cinema frequenter, living in Sydney, graduated from RMIT, raised in Brisbane born in El Salvador. The pub known as 'The Curtin' is a fine establishment. Usually inhabited by students from RMIT who study nearby after a tough grind and all ages. Named after the eponymous Prime Minister John Curtin the pub is a great place to have a beer and a chat with old & new mates. It has Carlton draught, Coopers and cider on tap. They used to have the greatest pub cook I had the pleasure of ordering and eating from but sadly no more. They make up for it with their wacky late shift films and wait staff are cheery and SO approachable it's ridiculous. Come down for a pint, stay for a jug. 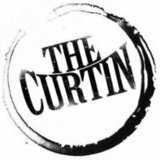 To see what's on at the 'The Curtin' this week, click here.